Pirates and parrots, murder and maps, treasure and treason . . . In Robert Louis Stevenson’s classic adventure, young Jim Hawkins is living with her grandma in the Admiral Benbow Inn when their lives are interrupted by the arrival of a sinister stranger with a deadly secret. Jim’s life takes a new turn as she and Long John Silver set sail for a mysterious and haunted island in search of long-lost treasure. This beloved coming-of-age tale has been transformed for the stage for the National Theatre in a masterful adaptation by acclaimed playwright Bryony Lavery. In Oxford Theatre Guild’s vibrant production, the story takes on new energy as we weave in elements of parkour and puppetry to bring the adventure to life in the heart of one of Oxford’s most beautiful college gardens. 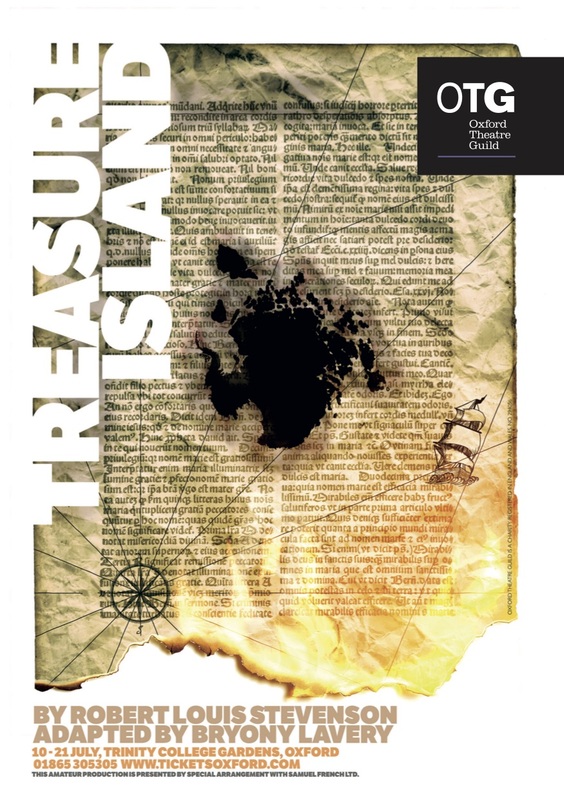 This amateur production of Treasure Island (Lavery) is presented by special arrangement with SAMUEL FRENCH, LTD.